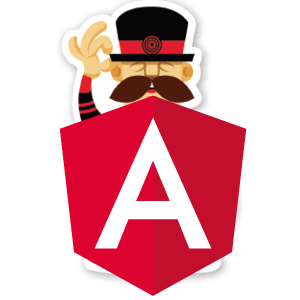 Let’s say it guys, Angular is one of the best JS framework out there! You are probably and justifiably using it right now to write your web applications and/or the ones to come (if not 😱, you should really consider it). The community behind is very strong too, a ton of libraries are available for you to add in order to extend your applications (ng-bootstrap, angular material, angular firebase,…). You may even be thinking about writing your very own, either from scratch, or by extracting a shared module you’ve created as part of that big application you’ve been working on. Maybe you’ve already done all that for that one library you published last month. But now, you are working on a new awesome library to release. Though it is totally different from the previous one, still, the building/testing chain around is EXACTLY the same, or very very close. And you are tired of copying/renaming the files over and over again, from one project to the other. This is what led to the creation of generator-ngx-library! 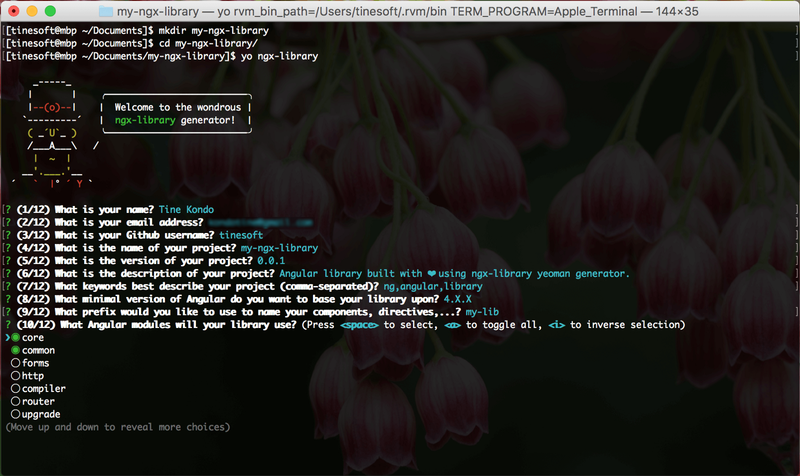 generator-ngx-library is a Yeoman generator that aims to ease the painful/cumbersome process of creating and releasing an Angular library, so that you can really focus on the most important: writing the actual library! Beyond generating the minimum code to get you started quickly, it provides you with a full build and testing setup ready-to-use, along with integration with popular tools to improve your workflow, code quality and maintenance. You see? the tool really takes care of everything for you! How to create your library ? This will generate a fully git-ready project containing your library, and based on the exact options and answers you provided during the initialization. How to publish your library? The big time has arrived! Your library is done being written and fully tested. It is now time to publish it to the world. If pre-release checks failed, the whole process is aborted. Otherwise, Congratulations! You’ve just published your library on NPM and Github! This was just a quick introduction about what the generator is capable of. For more detailed information, list of available options, recipes, please visit the project’s page on Github. Found an issue, thought about a nice feature that could be added, please file an issue. Contributions are welcome!